Welcome to yet another wonderful installment of PMD! This newest title in the series is a varied collection of the hits and misses the Nintendo is famous for but overall, even folks new to the series should be in for an amazing journey. So, sit back and get ready to transform into a cuddly, adorable, deadly creature. Is Axew's Request required to continue the game? Can you pick up in the middle of the story or can you play it if you've never played one before? How do you unlock items at cofagrigus' shop? How do you beat the Mysterious Geoglyph? Can you run Fossil Excavation for Golden Bananas more than once? How do you get the Satiated Looplet? Why aren't my main Pokemon evolving? Where can I find Roserade? How do you unlock Torkoal? How do you connect with male Meowstic? What are the best items to spend Gold Bars on? Can you use Lapras Passes more than once? How do you tell what level a move is? What is the best way to use Vitamins? How do you find Secret Bases? 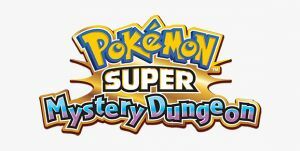 No discussions open for Pokemon Super Mystery Dungeon at the moment.